The papers in this Special Issue are the primary technical underpinnings for the Northeast Climate Impacts Assessment (NECIA), an integrated regional-scale assessment of projected climate change, impacts and options for mitigation and adaptation across the US Northeast. The consequences of future pathways of greenhouse gas emissions on projected climate and impacts across climate-sensitive sectors is assessed by using downscaled projections from three global climate models under both higher (Alfi) and lower (B1) emissions scenarios. 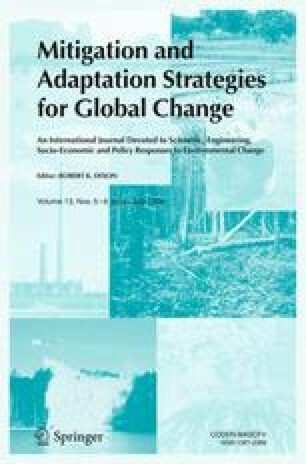 The findings illustrate that near-term reductions in emissions can greatly reduce the extent and severity of regionally important impacts on natural and managed ecosystems and public health in the latter half of this century, and increase the feasibility that those impacts which are now unavoidable can be successfully managed through adaptation.